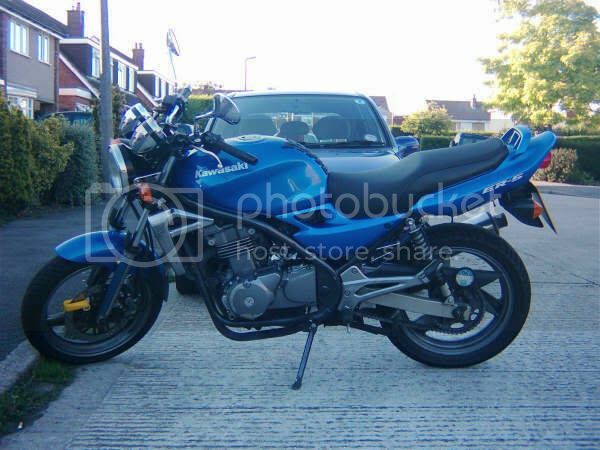 Another Kawasaki ER5 2001 (I think, can't remember off the top of my head). 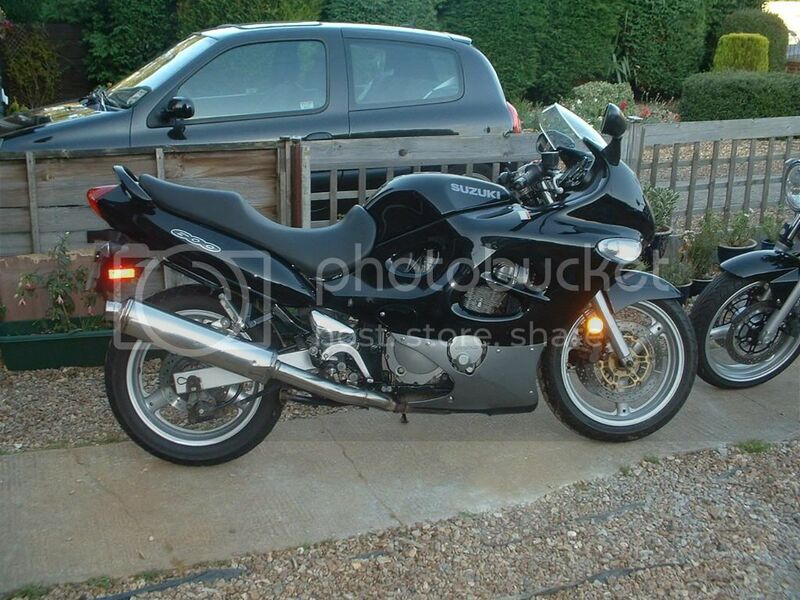 - Another good bike. 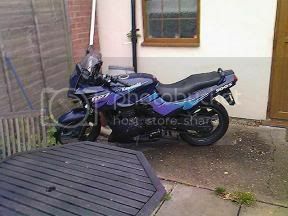 It was my commuter from Coventry to Essex, when going back and forth from Uni to home. 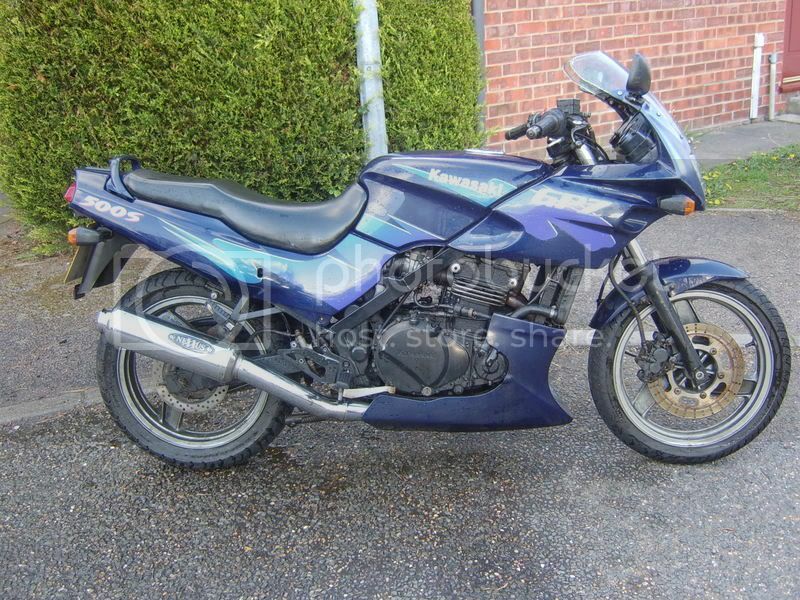 Then found the next bike which I bought so sold this ER5 to a guy at uni for the same price I bought it. 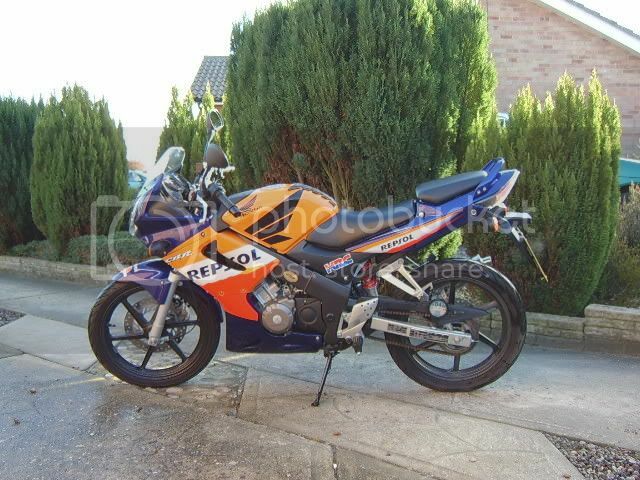 My current bike - '99 Yam R6 can be seen in this (click) thread. 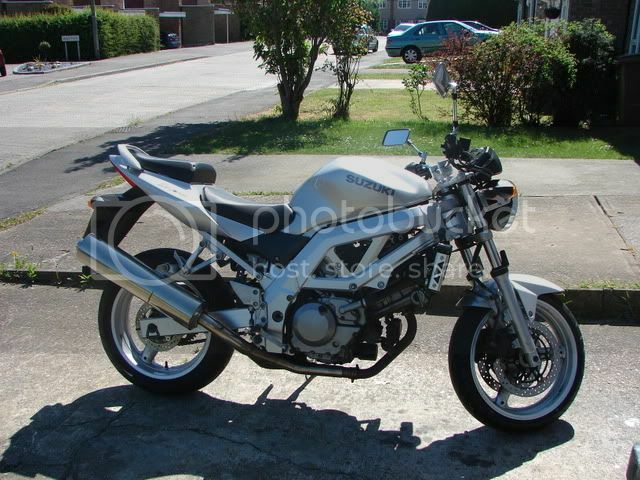 Suzuki SV650 - Loved the torque, fun to pop the front wheel up but a bit bland like the ER5s. After 3-4 weeks that was picked back up and I could ride the R6 again. 3 of us in the team, unfortunately it broke down, got it working but then got a MASSIVE bit of metal in the rear tyre which ripped it to shreds. Determined to get back in the race we tried many fixes that just didn't work so in the end took the wheel off and I drove around looking for an open bike shop. Found one and they changed it over. Wheel back on and got back onto the last hour of the race. Over took a fair few people and didn't do as bad as we thought seeing as we only got 1hr of race time. If we had the full 3 hours I reckon we could have been in the top 15 out of around 50. 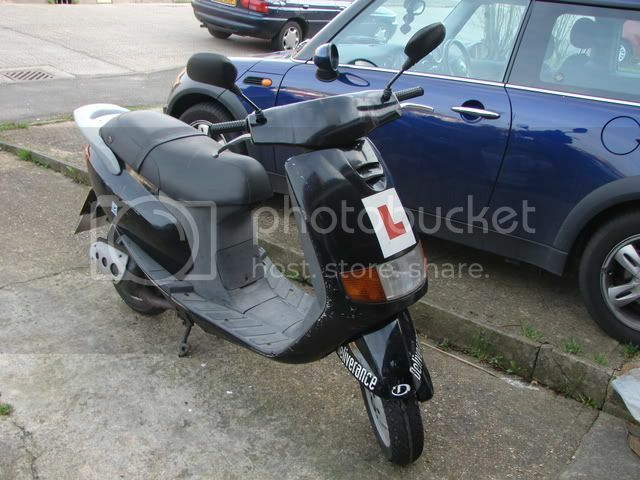 Sold that at the beginning of May, pass my test, now have my Hornet. "At the going down of the sun and in the morning, we will remember them"
Did you sell that to a Lithuanian guy? I went to see a GPZ in Cambridge, looks exactly the same. He said he brought it from somewhere up here and it had DRD stickers on it. I gave it back to my ex. 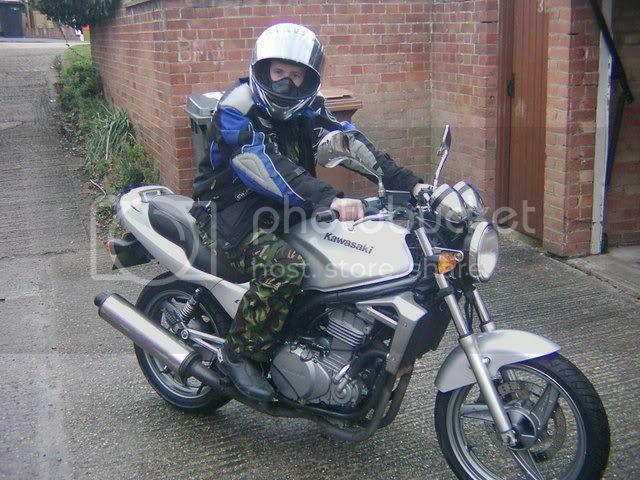 As far as I can remember it had a foam black tank protector with a pink "K" on it and a silver "IXION" sticker on the screen (IXION was the bike-group I was in with him). 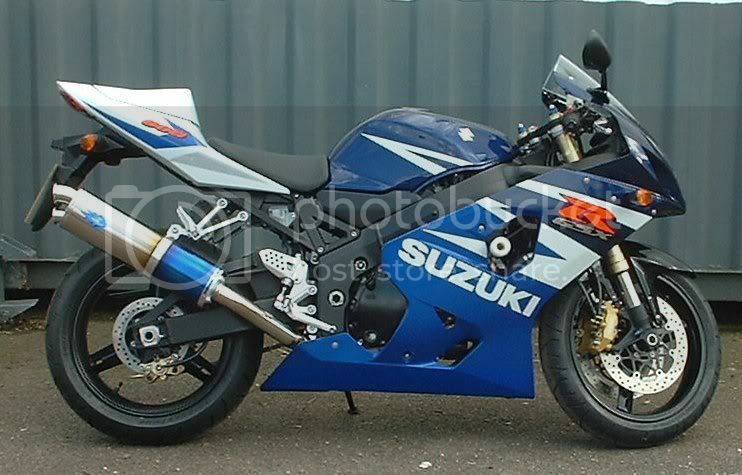 The GSX600F was my very first bike! I wanted something not too perfect,had a fairing and didn't cost the earth,so this is what i got. Phil_Norwich wrote: Did you sell that to a Lithuanian guy? 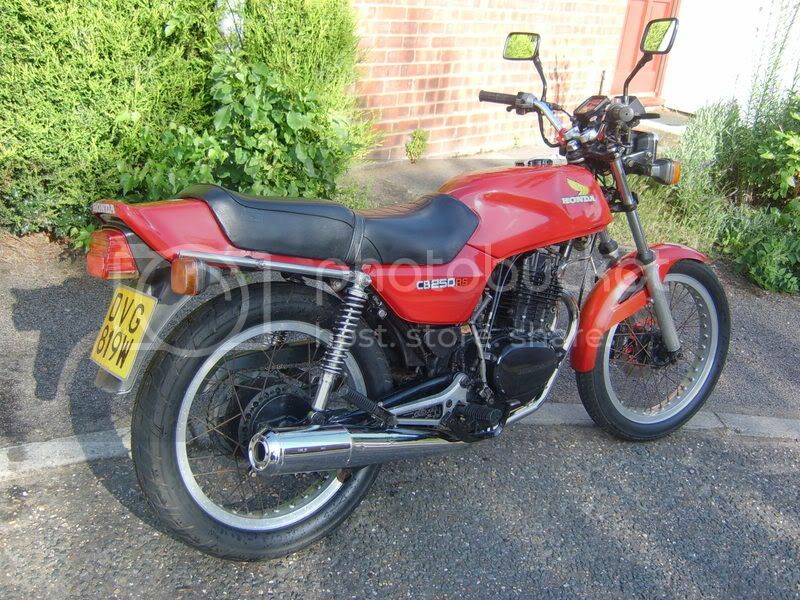 I went to see a GPZ in Cambridge, looks exactly the same. He said he brought it from somewhere up here and it had DRD stickers on it. AHHHHHH...that was my old one! N378 AMK iirc. I sold it to him and, as soon as he left my road, I regretted it and it's up there with the biggest mistakes I have EVER made. Had he ruined it? 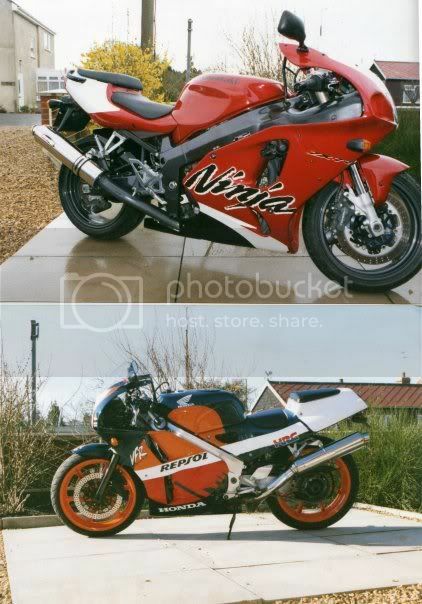 I spent hundreds on that bike...only thing I didn't get round to doing was having the fairing sprayed the correct colour. Is it still for sale? Do you know where it is? 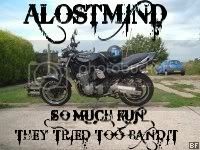 I would gladly have that bike back. 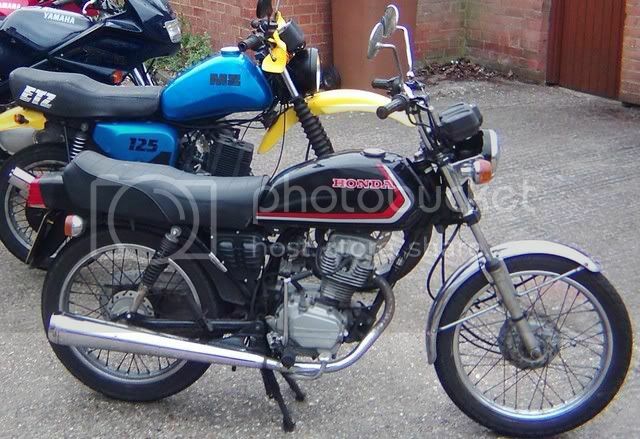 Anyway, here are pics of my past bikes from past (CBR125RR) to present (CB250RS). My current ride - CB250RS. Being from East Anglia I'm afraid I don't speak slack-jawed northern monkey! GO GO POWER RANGERS ! i don't care ! Go on give it your best shot ! I have broad shoulders ! rode this to the isle of wight & back ! less than a month after passing my test ! 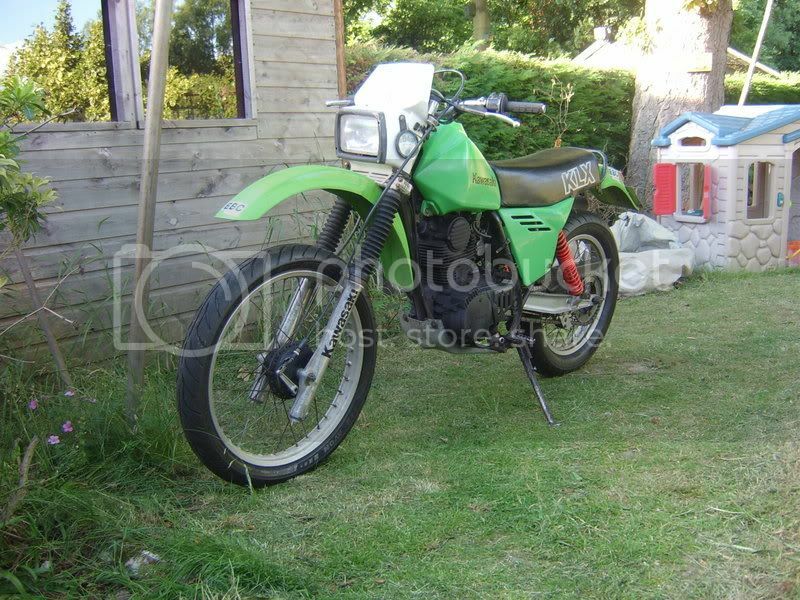 My first half decent bike, numerous fizzies, c90's er's and dt's before this but none were worth photographing! 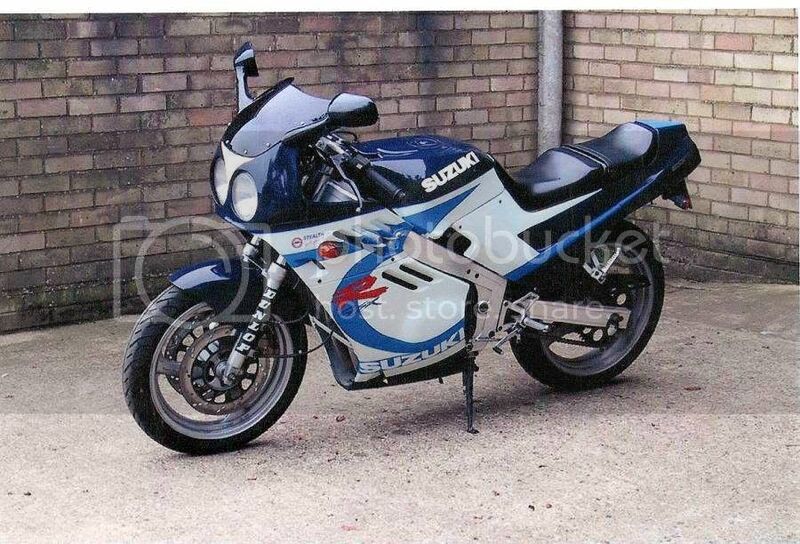 I crashed this bike 18 years ago the morning after a heavy night on the lash,The pins in my arm still give me grief, learned my lesson about mixing alcohol and bikes! brought this in abox ! 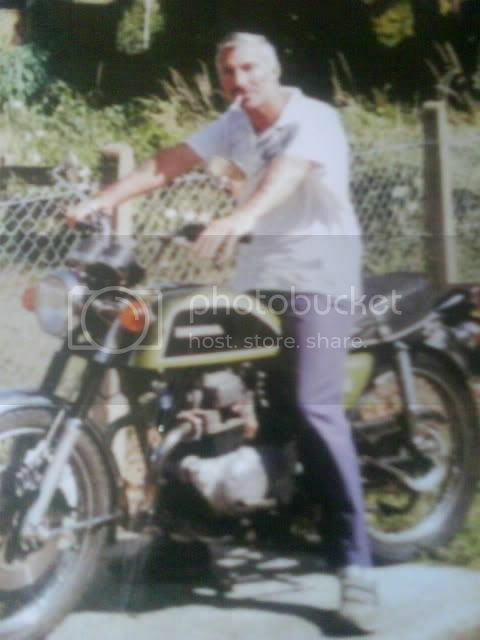 put it in the boot of the car & rebuilt it wiv DAD (17-03-08 R.I.P. )(james dean eat your heart out) ! done a 600 mile road trip on it ! tappets were abit noisy but it kept on going !